Spencer Keen is a contract law barrister with experience advising clients on a wide range of commercial contracts: from basic online marketing terms and conditions to complex contracts for the international sale of goods. Spencer has experience drafting and negotiating contracts for clients as well as providing pragmatic and plain english advice on contractual problems. If you are looking for a direct access barrister to help you with a contract dispute click here. 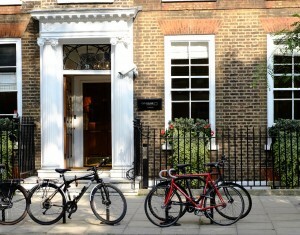 Spencer is a member of Old Square Chambers in London. To find out more about Old Square please click here. His experience representing clients in court enables him to give pragmatic, commercial and above all realistic advice about how a contract should be structured and which clauses or issues are particularly important. He has experience negotiating a broad range of contracts and always strives fearlessly to achieve the best possible results for his client. Spencer can draft a bespoke contract that is tailored to your business’ requirements. He strives to provide clear, practical solutions that meet his clients’ commercial needs and that can guide and develop their business relationships. If you would like to have an informal discussion about the services you need before you proceed please feel free to call Spencer on 07717721204. In most cases, if you are able to provide him with sufficient information about your business or the contract in question he will be able to provide you with a fixed fee quote.